Let's Examine the contents and the real meaning. The 1951 Decree establishing the automatic penalty of excommunication for the consecration of a bishop reads as follows: ORDINATION & SACRAMENTAL VALIDITY PDF........CANON LAW SOCIETY OF GREAT BRITAIN REPORT ON VALIDITY OF HOLY ORDERS & His Holiness, Pope Pius XII, Excommunication, and Traditional Catholic Bishops Hierarchy of the Roman Catholic Church Vatican II have sometimes invoked a 1951 decree and a 1958 encyclical of Pope Pius XII against various traditional Catholic bishops, including those consecrated by Bishop Carlos Duarte Costa and his successors. 2. The canonical appointment: a papal decree designating a bishop as Ordinary (or "residential bishop") of a duly constituted diocese, which appointment auxiliary and titular bishops did not receive. The canonist Fr. Eduardo Regatillo, in his Institutiones Juris Canonici (Santander: Sal Terrae 1956), 2:600, states that the 1951 decree affects only bishops consecrated without papal appointment to be heads of dioceses. "Anyone who is to be promoted to the episcopacy needs the canonical appointment by which he is constituted Bishop of a such a vacant diocese. "In practice, it may be doubted whether only those who are to be consecrated residential Bishops are affected - that is, those who are consecrated for a diocese now in existence - or also titular bishops (who are created for an extinct see or diocese), or bishops who are consecrated for no diocese. "From the purpose intended by the Holy Office, the decree appears to cover only those who are consecrated as residential bishops, for this is the actual case which the Holy See intends to condemn. "This new type (of offense) differs from the one mentioned in canon 2370, where the canon refers to consecrations performed without apostolic mandate (described in canon 953). The new decree, on the other hand, punishes consecrations performed without pontifical appointment. "An appointment designates the person and bestows the title (to an office)".
" A mandate grants the permission to confer the consecration." 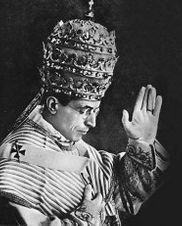 Regatillo's interpretation is confirmed a reading of Pope Pius XII's encyclical (reproduced below), especially paragraphs 45-48. No traditional Catholic bishop - at least none of our acquaintance - has been consecrated to the episcopacy and then received illegal designation and title to a diocese established by the Roman Pontiff. Traditional Catholic bishops are consecrated for no diocese. One cannot claim, therefore, that the 1951 Decree applies to them. Reverend Fr. Kaschewsky is a German canon lawyer and correspondent for Una Voce Deutschland. This information below is a study concerning the legitimacy of the Episcopal Consecrations. •a power of jurisdiction, which he can exercise only if he is in charge of a diocese. The episcopal power is a power of divine right, which endows a bishop with a personal authority and gives him a legal and constitutional status which the pope can neither suppress nor modify. 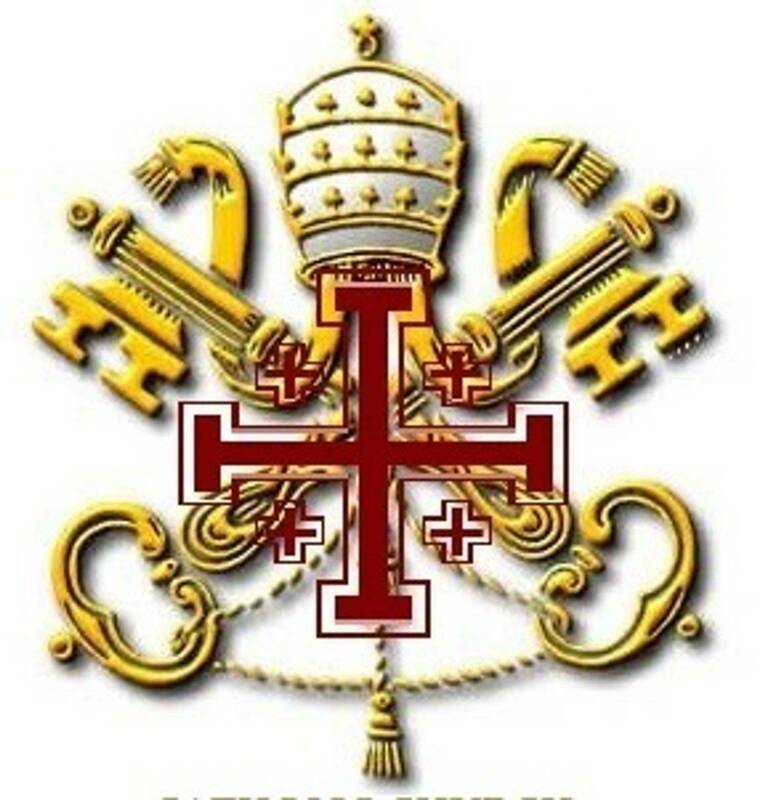 It is only since the Decree of the Holy Office of August 9, 1951, that the sanction of the excommunication ipso facto most specially reserved to the Holy See was introduced for illegal episcopal consecrations. This was due, without doubt, to the tragic turn of the Church in the People's Republic of China. This sanction was later confirmed after the actions of the sect of Palmar de Troya in Spain. What does the law mean by "grave inconvenience" and "necessity" ? Let us quote from the book on Canon Law written by E. Eichmann (Kl. Morsdort): A grave inconvenience or necessity is a situation of constraint such that, without fault, the person in difficulty is physically or morally obliged to do something against the law in order to avert the danger. (Necessitas non habet legem - necessity has no law.) This may be a threat against his spiritual goods, his life, his freedom or other earthly goods. It is generally granted - and no one seriously questions this - that due to the orientations taken after the Council, one finds within the Church a serious threat against the spiritual goods especially with regard to priestly formation, Faith, morals and religious worship. The proof of this affirmation is found in many publications including the review, Una Voce Korrespondenz. The question is to know if and how one can combat this attack upon the spiritual goods. No one will contest that one way (if not the only way) of healing the evils which we are suffering from, resides in the raising of priestly vocations and the formation of good priests. 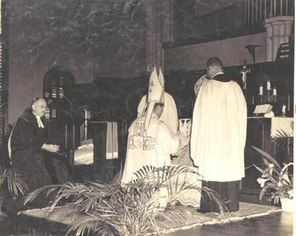 Oftentimes young theologians ask us which diocesan seminary may be recommended, i.e., in which the deadly spirit of adaptation to the world has not yet entered, where true devotion is taught and given priority of place, where the adoration of Jesus Christ in the Blessed Sacrament of the Altar is the centre of the priestly life, where Communion kneeling down and the wearing of the cassock are natural. (I say this in order to speak also of the exterior signs, since they are always the indication of an interior disposition.) The answer is: "There is none!" Thus it is sufficiently, clearly and undoubtedly established that there is a situation of grave inconvenience. In order to avert this truly dangerous situation, some candidates to the priesthood are correctly trained outside of official seminaries, who, if the law were strictly followed, would almost certainly never be ordained, i.e., would not be able to become priests. Here is certainly such a situation of necessity, from which any penalty is excluded. Only the consecration of a bishop who would ordain these priests can avert the above-mentioned danger. Otherwise not only the studies and the priestly formation of these candidates for the Holy Priesthood would be lost, but also the faithful who depend upon them would not benefit by these spiritual goods which they would be able to receive through them. Thus the faithful also find themselves in a situation of danger. Of course it would be exaggerating to say that the spiritual goods necessary for the salvation of souls are not administered in any official post-conciliar church; but the disastrous present situation consists in Catholics often having to wonder whether the catechesis and religious services are still truly Catholic or not. Even moderate and objective observers of the present situation of the Church acknowledge that at least in some cases the true intention of the priest, absolutely indispensable for the validity of the sacraments, is doubtful or even clearly not there. First restriction of the principle applied above: in Canon 2205, N. 2 of the 1917 Code, the threat of sanction in such situations of emergency was lifted only when it was a law purely of ecclesiastical right and not of Divine Right. This restriction is no longer found in the new Code. Now since those who would like to apply this sanction would most certainly use the new Code, such a restriction would not apply, even if the one performing these consecrations would feel bound by it. Another restriction: only situations of necessity of an accidental character make free from the sanction. This means that the inconveniences which are naturally linked with the fulfillment of a certain law must be accepted and do not authorize one to break the law. However, this restriction does not apply in our case since it is precisely accidental, unusual and highly against the nature of things that respect for the law in our case - that is, to abstain from the episcopal consecration without papal mandate - leads to the situation of peril. The fact that the salvation of souls is endangered by abstaining from such episcopal consecration does not constitute, at least not according to the nature of things, a situation of peril normally linked to obedience to the law, but rather is a characteristic of the present abnormal situation. Another restriction: an action incurring a punishment, but performed in order to avert a danger, is not exempted from sanction if it is intrinsically evil or brings prejudice to souls (Canon 1324, N.1.5). In the former Code, the limits of the dispensation from sanctions were still more restricted (Canon 2205, 2): any action leading to the contempt of Faith or of the hierarchy of the Church was also condemned. The question whether or not an episcopal consecration without papal mandate is an act intrinsically evil or leading to the prejudice of souls, without any doubt, goes beyond the framework of law of the Church, or at least cannot be decided by purely juridical considerations. But precisely here judgments differ: some say that it would cause an immense damage for souls because of the danger of schism; others speak of an action absolutely required for the salvation of souls. However, we need not answer this question, since Canon 1324, N. 3, CIC 1983, simply says that in situations described in N. 1, there is no sanction for the person who does not follow the law. This means that even if one would claim that an episcopal consecration without papal mandate would be in all cases an act by itself worthy of an automatic sanction, and bringing prejudice to souls, it would still remain free from an automatic sanction (latae sententiae) because of the emergency situation described above. Now exactly such a sanction is threatened in the case of a non-authorized episcopal consecration by Canon 1382, CIC 1983! It follows, on the basis of a situation of evident peril (Canon 1323 N. 4, Canon 1324, N. 1,5 and N. 3), that the threat of excommunication, threatened by Canon 1382 against the unauthorized consecrator, would not apply. Even if one were to call in question or actually deny altogether the existence of a situation of emergency, as we have described it, the following would still apply: No one will deny that a bishop who, in the aforementioned situation, consecrates another one, would be at least subjectively of the opinion that he is in a situation of necessity such as we have described above. Thus one cannot speak of a premeditated violation of the law: for one who goes against the law but believing even wrongly that his action is legitimate, does not act in a premeditated way. The New Code is even clearer: A. The person who thought, without fault on his part, that a circumstance foreseen in Canon 1323, N. 4,5,7, applied when he was breaking the law or an administrative order, does not incur any punishment. b.The violator of the law is not exempt from all penalty, but the penalty laid down in the law or in the administrative order must be mitigated, or a penance must be substituted, if the offense was accomplished by someone believing through an error, even if culpable, that he was in a circumstance foreseen in Canon 1323, N. 4 and 5 (Canon 1324, N. 1.8). Moreover, Canon 1324, N. 3, says: "In the circumstances explained in N. 1, the violator does not incur any latae sententiae penalty (automatic penalty)." Thus those who would suppose that the emergency exists only in the fantasy and the imagination of the Bishop concerned could hardly argue that this supposedly erroneous conception would be punishable. Even if someone were to put it to him that he was guilty for having arrived at such a mistaken notion of the existence of an emergency (not, in fact, existing), still: 1.The automatic excommunication could not follow as mentioned in Canon 1382 (it could not be automatic). 2.In any case, an eventual penalty which a judge might apply would have to be more clement than that foreseen in the law, so that here too an excommunication would be out of the question. A. Due to the existence of a real emergency, a bishop who would consecrate another one without a papal mandate, would not fall under the sanction foreseen for illegal consecration (Canon 1323, N. 4). B. Even if the emergency did not objectively exist, the violator would remain exempt from any sanction since he would have subjectively and in a non-culpable way estimated that there was a real emergency (Canon 1324, N. 1.5). C. One must also say that, even if there were an erroneous and punishable supposition of an emergency, still there would be no automatic sanction, much less an excommunication (Canon 1324, N. l.8,3). Therefore, the widely spread opinion that the consecration of one or several bishops without papal mandate would cause an automatic excommunication and would lead to schism is completely false.Due to the very terms of the applicable law itself, an excommunication for the aforementioned case could not be applied, neither automatically, nor by sentence of a judge ECCLESIASTICAL LAW AND HOW IT SEES ACCORDING TO CANON LAW ALSO THE VALIDITYOF BISHOP JAMES ATKINSON-WAKE AND HIS PREDECESSORS, LAYING OF HANDS PDF. Most Reverend Dom. Carlos Duarte Costa ‘Carolum Duarte Costa’ resignation was accepted by the Roman Catholic Church Vatican I pontiff, Pope Pius XI from his Diocese of Botucatu in 1937. By His Holiness; Pope Pius XI permitting such a gracious act Bishop Carlos Duarte Costa received a new appointment as Titular Bishop of Maura as decreed in the ACTA APOSTOLICA SEDIS in 1937. Most Reverend Dom. Carlos Duarte Costa was therefore from this day / date released from any further Roman Catholic Church Canon Law from 1937. Roman Catholic Canon law of 1917 did not apply to him or any of his fellow bishops he consecrated from this DAY OF RESIGNATION ONWARDS including towards Bishop Luis Fernando Castillo Mendez and notwithstanding Bishop James Atkinson-Wake as Roman Catholic Bishop Duarte Costa founded the Brazilian Catholic Apostolic Church and it new canon law which is the same for the vast Orthodox Churches who have their own laws and not under the supremacy of the Pope of Rome or its hierarchy.